I have mentioned a few times that I am very interested in the social history of WWII, especially in relation to the British home front. I can't really pinpoint what started this interest, probably a book at some time or another, that is how most of my interests start. Whatever began it, I am just fascinated with the everyday life of people living through the war. I like finding out what they thought, how the felt, what they did to stretch the rations, how they clothed their families, what they did for entertainment, how life changed and how life stayed the same. Maybe it is just my nosy side coming out, maybe it is just a fascination with people in general. Possibly this is why I also love people watching. Whatever the case may be, I thought I would share some of my favorite books about that time period. 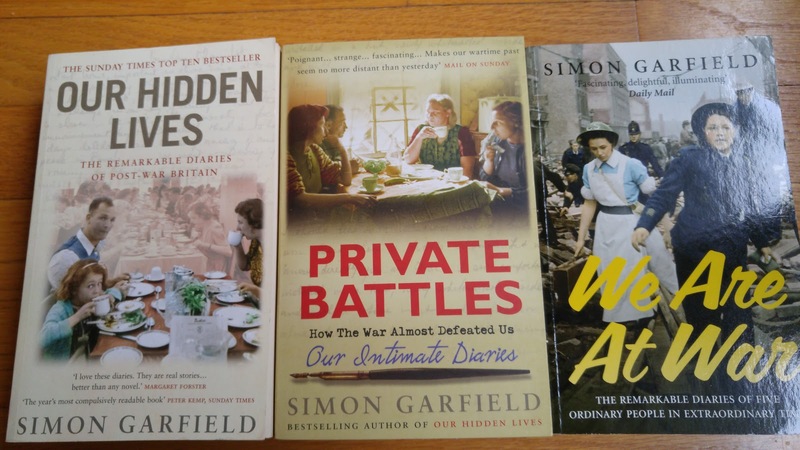 First of all, we have a trio of books by Simon Garfield. They are We Are At War, Private Battles: How the War Almost Defeated Us, and Our Hidden Lives: The Remarkable Diaries of Post-War Britain. I bought the first of these books when I went to the Imperial War Museum in London. We went to see an exhibition called A Family in Wartime. It was about the Allpress family in London and how the war affected them. There are reconstructions of rooms in their house, photographs, and audio recordings. It was fascinating. I bought the book in the museum bookshop. I started reading it that evening. It was the first time I had heard of The Mass Observation organization. It was a social research group that collected information about everyday life in Britain, including during the war years. Diaries were kept, observers took notes on what people were doing and saying, and volunteers responded to written questions and other prompts about day to day life. Garfield used the archives of this organization to compile fascinating accounts of life during the war. In each book, he follows four or five people and their diaries, interspersed with a few explanatory notes. It really brings the time period alive. You are reading in someone's own words what they thought and felt at the time. I highly recommend all of the books. 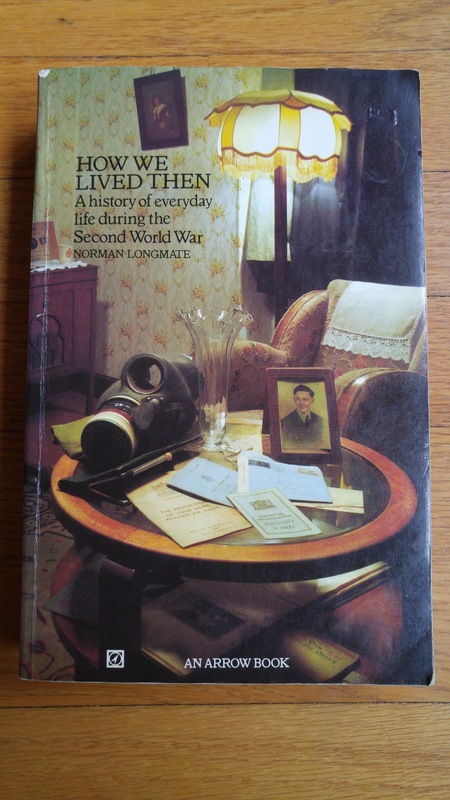 Next, we have How We Lived Then, A history of everyday life during the Second World War by Norman Longmate. This is a comprehensive history of exactly what life was like during the war. It is extremely detailed but extremely readable. He quotes extensively from individual accounts of the war. This book really makes the history come alive. Plus it answers every question you didn't know you had about what it was like to live then. 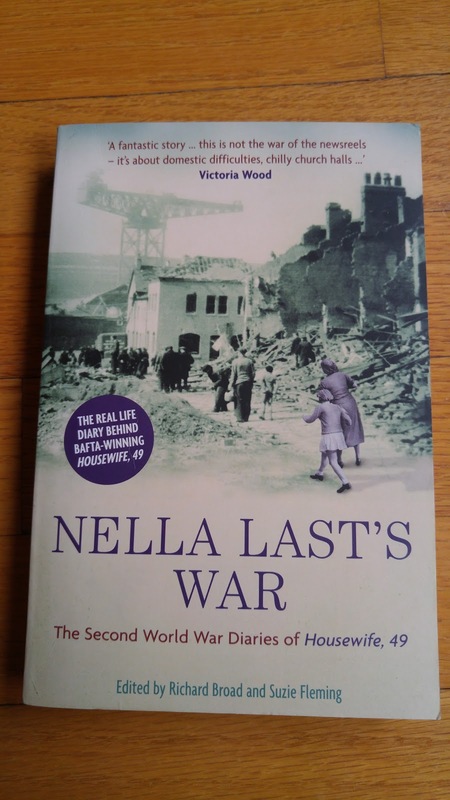 Nella Last's War, edited by Richard Broad and Suzie Fleming is probably the most well-known compilation of diaries from the war years. It was made into a movie, Housewife, 49. I wasn't wildly impressed with the movie but then, I frequently get annoyed with movies that are based on books. Nella Last submitted her diary to the Mass Observation Organization. This, and the two further volumes, are an interesting depiction of one woman's viewpoint on life during the time. 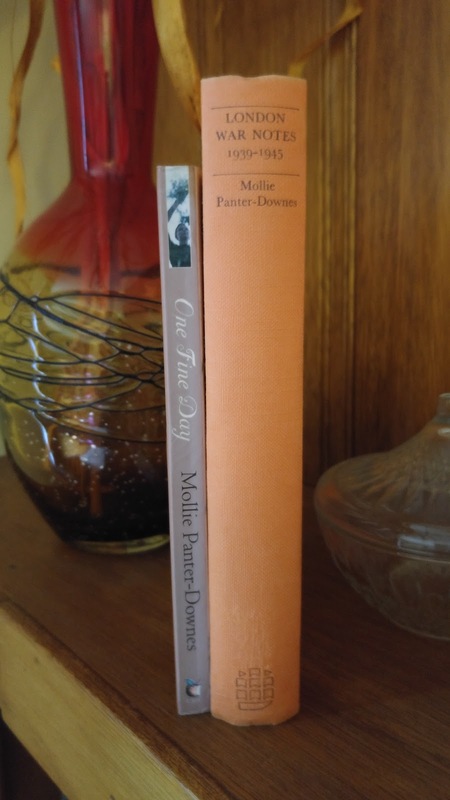 One Fine Day is also by Mollie Panter-Downes. It is a little different because it is a novel and it is set just after the war, but I included it because it gives a beautiful picture of one day in the life of a family living in a small English town after the war when they are trying to adjust back to a permanently changed life. It is a quiet and lyrically written book. Do you ever read a book were the language almost makes you feel like you are listening to music? I don't know how else to describe it. I highly, highly recommend this book.. I have a lot more books on my shelves about this time period. I find it endlessly fascinating. Currently I am looking for more novels set during the war years. Does anyone have any they suggest? Angela Thirkell's books give an interesting view of life in the country (county) during the war. I also enjoyed Joyce Dennys' Henrietta's War & the sequel. We obviously have very similar taste in books. I like Angela Thirkell's books. I recently read Anthony Trollope's Barsetshire novels. It was fun to see the connections. I read Joyce Denny's Henrietta books earlier this year and enjoyed them. "One Fine Day" is following me like a cat. One (fine) day I´ll have to read it! Oh, read it! Read it! I recommend it constantly. Such a good book.